Leila Ben-Abdallah is an actor, comedian, puppeteer, writer, and associate producer for The Box Show. A graduate of the William Esper Studio, Leila is a company member at The Flea Theater, and has created four original solo plays. Check out ScaryMommy.com for her upcoming appearance in Preggo Nancy, a comedic series about pregnancy. Joseph Cordaro is a NY-based actor of stage, screen, and, now, podcast. He has performed at the Signature Theater, the Abingdon Theater, Theater for a New City, The Ivoryton Playhouse, and many others. He is proud to join this group of talented fellow artists in promoting literacy among young women. Jean Goto is a native New Yorker HAPA (half Japanese) who is passionate about yoga, fighting climate change, creating films and acting. Highlights include: The Blacklist, Unbreakable Kimmy Schmidt, Blue Night (a Sarah Jessica Parker film), and Bruce!!! (winner of Best Director at ABFF). She is a proud founding member of the theater company The Anthropologists! Graduate of Columbia College Chicago, Laureen has performed for the stage in Chicago, has done commercials in Los Angeles, and has now launched her own web series in New York called #WhineWednesdaze. Jessica, Beauty and BeaAlexandra has a BFA in Acting from Pace University. Recent tv/film credits: Evil Lives Here, Comedy Central, Teach with Reggie Watts. Recent NYC theater credits: Twelve Angry Women, Getting There (NY premier), As You Like It (Phoebe), Into The Woods (Witch). 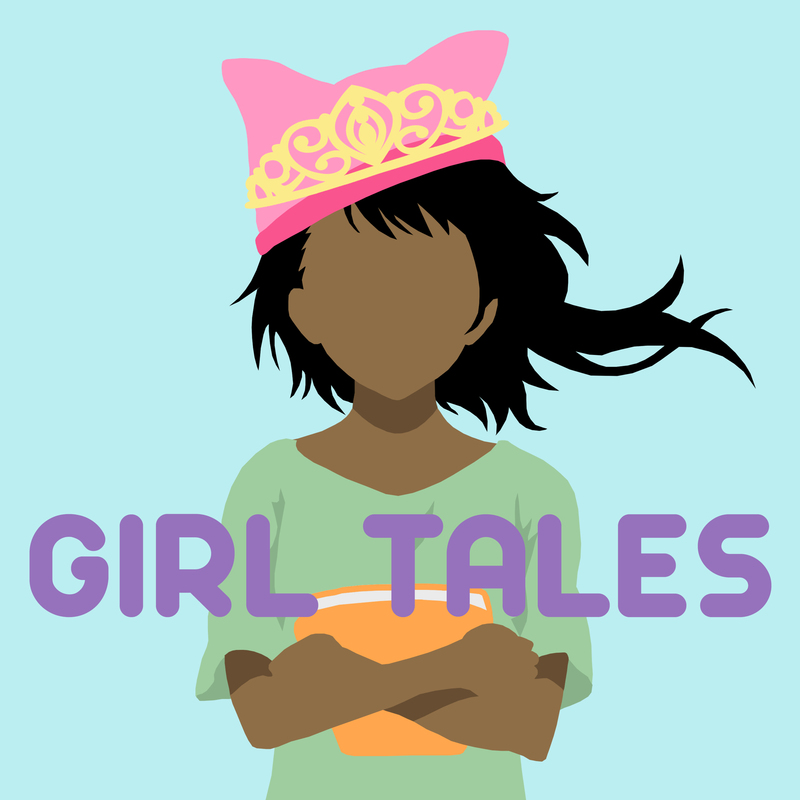 Much love to all the Girl Tales folks! Kristina Mueller is an actress based in Brooklyn, NY. Originally from Munich, Germany, she grew up listening to stories on cassette tapes about 3 boy detectives solving mysterious cases, so she is thrilled to be voicing a girl detective for Girl Tales! More info at k-mueller.com & BEtheseries.com. Sol, The Literate MermaidAshton Muñiz is an actor, artist, and activist based in NYC. Recent New York credits include Esai’s Table (Cherry Lane), Shasta Geaux Pop(The Public’s—UTR), Taylor Mac’s 24-Decade History of Popular Music (St. Ann’s / Pomegranate Arts), BitterSuite (BAM), On False Tears and Outsourcing (New Museum). Ashton has recently danced with various artists such as Rihanna-Dancehall Medley(MTV VMAs), Gypija Q(Jack Fuller) & Miles Francis. Training: Ithaca College, Moscow Arts Theatre School (MXAT/NTI), S&Co-Young Company. For More info check out @arshton on Instagram/Twitter. Maria Ortiz-Marquez (Bea) is making her voiceover debut in Girl Tales. Her latest project was LORDES for Columbia University. A graduate from University of Maryland, Maria has worked for the Kennedy Center, University of Maryland, and the Children’s Museum of Winston-Salem in North Carolina. Elise Santora appears on Netflix series Iron Fist, Orange is the New Black, and co-stars in Shades of Blue. Broadway: In the Heights, The Capeman, and Adventures of Tom Sawyer. She toured with such legends as David Bowie and as a veteran teaching artist, she is also a choreographer for MTC’s Stargate Company. Sorceress, Richard, John, Elisa and the SwansClaire is an actress with over 20 years professional experience across theatre, TV and film. With a specialism in Shakespeare, she has performed across America, the UK and Europe. She is also an Intimacy and Fight Director, as well as a teacher of Shakespeare and stage combat and an acting coach. C. Kelly Wright is an actress, singer, and dancer. She has performed in Off-Broadway musicals and plays in New York City and in television and film in the U.S. and internationally.